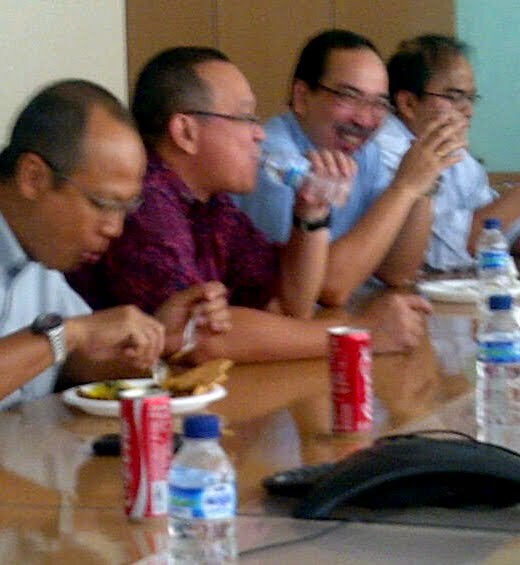 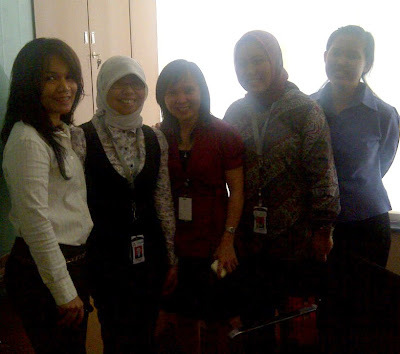 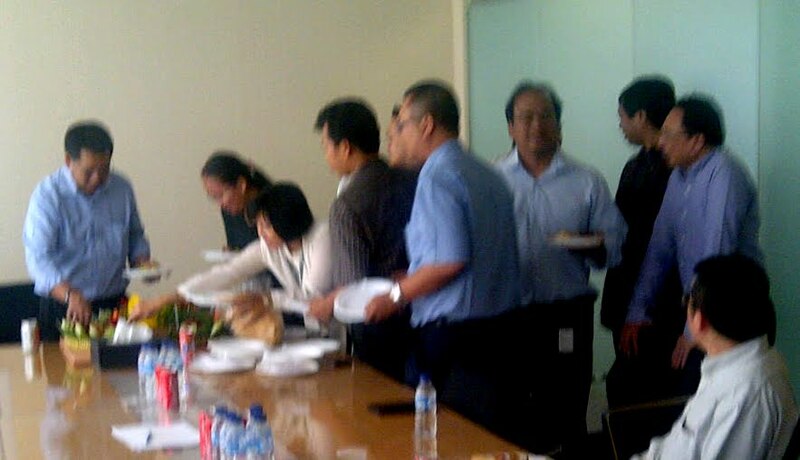 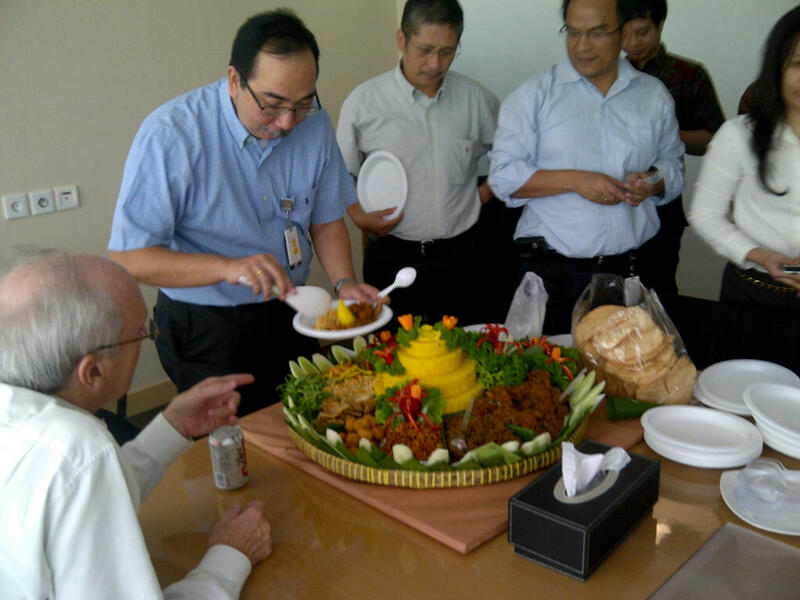 Now that everyone has returned from his or her holiday, APEC/BMIC staff gathered for lunch today to celebrate the end of Ramadan and all the birthdays that were missed during the fasting month. The centerpiece of this event was nasi tumpeng kuning, a festive meal-on-one-platter that features an extravagantly garnished mountain of yellow rice (nasi kuning) surrounded by dishes like urap (my favorite Indonesian vegetable recipe), orek (sweet and spicy tempe), chicken, beef, potatoes — all dependent on the whim of the chef. 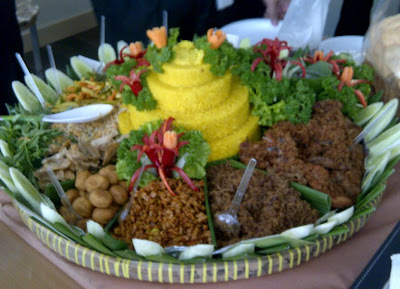 The yellow rice symbolizes prosperity and abundance, its cone shape apparently designed to call to mind Indonesia's mountainous topography and those rumbling volcanoes.